You might be wondering what Singapore cuisine is famous for and now is your chance to learn more. This is a place where four popular restaurants in Singapore are gathered in a huge restaurant. They have bar areas as well as private rooms, so it is suitable for various occasions. Their lunch is very reasonable, and people usually spend ¥1,000~2,000. Dinner is around ¥6,000~7,999. Around a minute walk from Shinagawa station. From the classic egg benedicts to French toasts to pancakes, Sarabeth's covers some of the most delicious Western breakfast classics. Try the "Lemon Ricotta pancakes" that comes with some fresh mixed berries and maple syrup or the "Smoked Salmon Eggs Benedict" that is served with an English muffin, smoked salmon, Hollandaise sauce, pepper, and chives. For some savoury dishes, there are burgers, salads, mac & cheese, sandwiches, etc. Prices are ¥1,000 to ¥2,000. The lunch sets are between 2,880 and 5,350 yen. 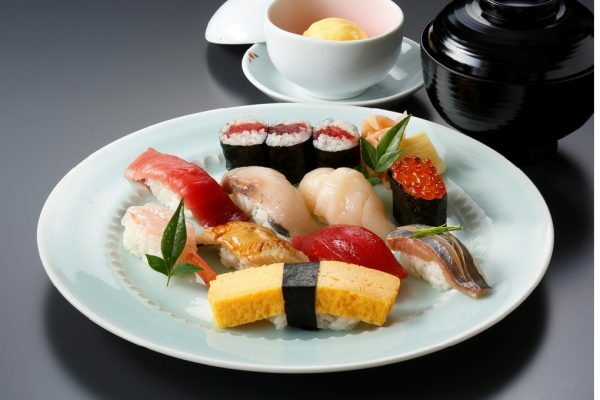 You can have a very hearty, yet delicate and beautiful lunch set, such as tempura or sushi. They all come with appetizers, miso soup and dessert. You even get a view of the garden while enjoying your lunch. It is also right across Shinagawa Station's Takanawa exit. Lunch is surprisingly affordable given that it is such a beautiful restaurant. There are lunch options starting at ¥1200. You can choose between pasta, seafood or meat, or for a more substantial lunch, you can get the course. Lunch is between 3,500- 15,000 for a course. La Kancatour is a high-end French restaurant which serves very elegant dishes, in a beautiful setting and the service is very attentive. It is a great place to have a birthday lunch or celebration as well. Makimura, a 3-Star Michelin Restaurant in Tokyo! Meat Yazawa (Mitoyazawa): Best Affordable Steak House In Tokyo!